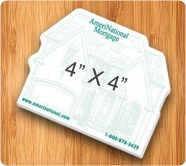 3x3 custom printed house shaped adhesive notepads-50 sheets are favored by realtors, builders, real estate developers, architects, and other related services to improve their brand visibility. 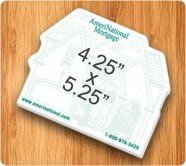 A house shaped adhesive notepad makes a good gifting item in any season and realtors can always rely on it to get their word out. This adhesive notepad uplifts face value of duller campaigns. 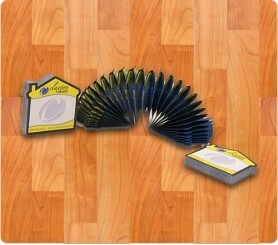 Prices include printing in full-color (four color process) on front of sheets and spot color printing on back of sheets.